Innovation is often thought of in terms of creation and invention – coming up with new ideas and new solutions. However, working with clients in recent months I have discovered that often the most powerful forms of innovation are more subtle. Rather than focusing on development and discovery, the best innovations focus on incremental improvement – getting better at doing the basics and addressing the factors that negatively impact on the people we are looking to serve and impress. Factors often referred to as friction. It is calling a help desk and being bounced from call centre staff member to another – none of whom have the skill, authority or will to solve our problem. It is approaching the counter to pay for items only to be informed that the business is ‘cash only’ or only accepts credit cards on purchases totaling a few dollars more than the bundle of goods we are looking to buy. Friction makes doing business with an organisation hard. Sometimes it irritates or infuriates our customers while other times it just leaves a bad taste in their mouths and leaves them reticent to engage with us or our products ever again. Interestingly, we often create friction while trying to achieve the very opposite. In the interests of thorough service, businesses can add layers of complexity and annoyance and never even know it. As a frequent traveler, one well-intentioned friction point I encounter often is the hotel porter who insists on taking my bags when I check in at a hotel. Although presumably they imagine they’re doing me a great service, I find this more irritating than helpful and always try to hold on to my bags. Why? Because despite the bellhop’s assurances, the bags are never delivered to the room before I arrive there and often don’t arrive for a long while afterward. Often I find myself sitting for 20 minutes on the bed waiting for my bags to be delivered before I can get changed or settled in. When I finally get fed up with waiting, Murphy’s Law also means that the very moment I step into the bathroom or jump in the shower, that’s when I hear a knock at the door and the porter finally arrives with my bag. Similarly, how often is it that you get started with a meal at a restaurant and at the very moment everyone in the group has their mouth full, the waiter approaches the table and asks ‘How is everything?’ Now, in the waiter’s mind, this question is well-intentioned and designed to engender a feeling of care and attention. However, if you’re anything like me, it more often has the opposite outcome. 1. Where do we add friction to our customers – either consciously or unintentionally? 2. How are we adding irritation, frustration or confusion to their experience? Personally, I have had to confront this question myself in recent months. For well over 2 years, my website has used a shopping cart that, I was assured, was as streamlined as could be. I believed this to be true until I received a call from a customer a few months ago who informed me that she had spent well over half an hour trying to make a purchase on the site and couldn’t find the payment button. She eventually lost her entire order because she navigated away from the cart. Frustrated, she rang to order her products via phone and was kind enough to simply say that my online order system was a ‘bit complicated’. She was very gracious it turned out. I went online immediately to replicate the problem she had experienced and discovered, to my horror and enormous embarrassment, that my web ordering system was thoroughly infuriating. I quickly set about halving the number of checkout steps required to complete an order and changed payment gateways to one that was far simpler to navigate. Working with a major bank recently, I learned that they had recently evaluated their mortgage agreement documentation – something no-one had looked at with any seriousness for years. Recognising how much of the document was redundant and long-winded, they removed a whopping 30 pages immediately. While this bold step has certainly removed friction for their customers, a great side benefit was that the removal of so many unnecessary pages resulted in a $50,000 reduction in the company’s annual printing bill. By far one of the most powerful friction-focused innovations I have come across was from UK coffee giant, Costa. 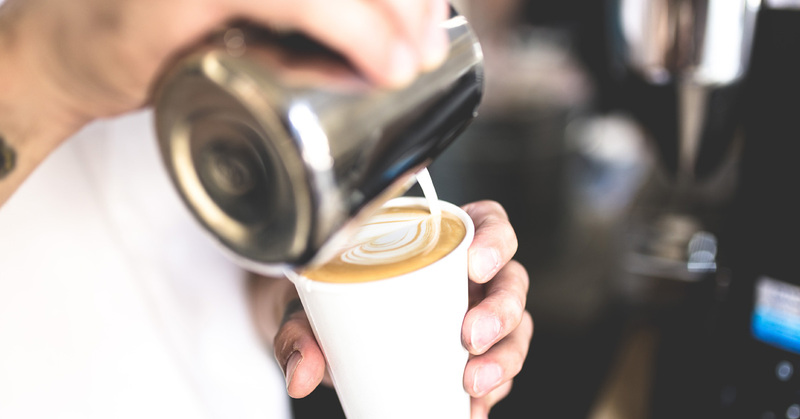 At an event recently, the speaker before me shared the experience of one Costa executive, Mark Bunn, who decided to get out of the boardroom and spend some time in one of the company’s cafes. What he learned from the experience was extraordinary. Sitting near the entrance of one of the chain’s flagship stores, the executive observed that customers were frequently entering the café, having a look around, and then walking straight back out. While at first Mark thought it was perhaps an anomaly, after 20-mins or so it became clear that this was more than an isolated case. The chain was losing hundreds of customers an hour and he was fascinated to learn why. When the next person walked in, looked around and then walked out, Mark got up and followed them out. He caught up with them outside the café, introduced himself and politely asked if they’d mind sharing why they had chosen not to stay. The answer the customer gave was one he was not expecting. “I needed a power point to charge my laptop and there weren’t any tables available with one nearby” she said. This was a classic case of friction. The lack of power points negated good coffee, comfortable seating and well-priced products. None of those things mattered to a customer whose laptop was almost out of battery. Within a few months, Costa stores across the UK were retrofitted with power points within easy reach of all tables and the subsequent surge in customer retention made the investment well worthwhile. So what are you doing that isn’t adding value to your customers? What needs are you not meeting or how are you even adding frustration and irritation to the client experience? Focusing on and addressing friction in this way is probably the most powerful form of innovation you can engage in.